A rather delated report from early July. Lower Winskill is a working farm set in spectacular Yorkshire Dales limestone landscape overlooking Ribblesdale and is owned by Tom Lord who farms the land in the traditional manner. That is to say he farms both for commercial gain through his livestock but also farms to look after the wildlife of the Yorkshire dales. Especially the wild flowers and associated butterflies. With the advent of modern farming techniques (fertilisers and herbicides plus past over grazing) much of the wild flower meadows of the Dales have drastically diminished along with the associated wildlife. The rich flower meadows are now a nationally rare habitat but on the Lower Winskill farm native flower rich habitats abound, a rare sight in the Dales these days. 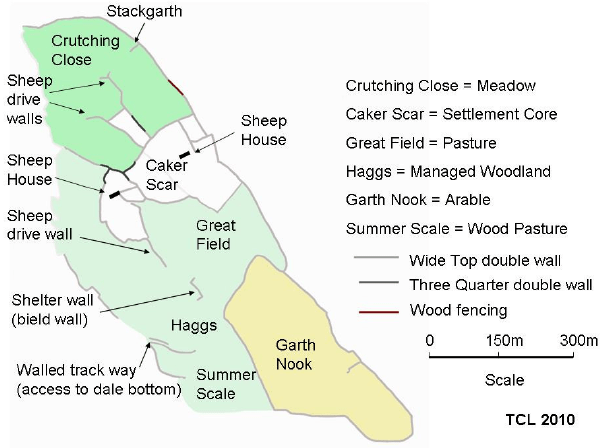 A historical context of the farm taken from the Lower Winskill farm website. ‘The hay meadows at Lower Winskill are recorded in late sixteenth century documents, they belonged to three smaller farms than. These farms were basically small dairy farms each with a few cattle kept inside over winter in stone built barns. Small scale dairy farms became widespread in the Yorkshire Dales in the sixteenth and seventeenth centuries. Milk cows were kept all year round on the farms, and their milk made into cheese and butter. The farmhouses nearly always contained a purpose-built dairy where the cheese or butter was made. The cheese and butter were stored and sold on to feed growing urban and industrial populations. The development of this upland dairying economy needed ever more hay meadow to produce food for the milk cattle which were kept inside from early November to early May each year. This next section is unashamedly taken again from the Lower Winskill farm web site as I could do no better. ‘The ancient dry stone wall field pattern at Lower Winskill is made up of walls built at different times. There are obsolete styles built-in the medieval period when Winskill was developed as an upland sheep farm (bercaria) by Sawley Abbey, a Cistercian monastery. The Yorkshire Dales National Park contains extensive and sometimes well-preserved medieval dry stone wall landscapes. It appears dry stone walls were being widely built-in the Yorkshire Dales by the thirteenth century. The earliest walls are technically complex structures, and possibly represent an agricultural innovation brought from continental Europe after the Norman Conquest. In the Yorkshire Dales dry stone wall construction continued more or less unchanged until the sixteenth century when new styles appear, and it is basically forms developed from these latter styles which have continued to be built to the present day. Because they are constructed in obsolete styles, medieval dry stone walls are unfamiliar to dry stone wallers today; and where they survive in a decayed state usually go entirely unrecognised. Medieval dry stone walls have distinctive structural characteristics. In cross-section medieval walls stand nearly straight up with hardly any batter. They were generally built to a height of at least ~ 1.6m. Their tops are relatively wide, and the width across the face stones at the top of a medieval double dry stone wall is nearly always ~ 0.5m., equivalent to the archaic unit of measurement called a cubit. Standing nearly straight up, they frequently utilise up-ended slabs (orthostats) set vertically on edge for footings, and these sometimes survive where the upper part of the wall has been rebuilt in a later construction style. The top stones are laid flat and usually project on one or both sides to form a continuous overhanging lip projecting some six to nine inches which acts as a deterrent to jumping animals. This was clearly intended as a functional device, it appears to have gone out of use by the sixteenth century. It was a device to stop large predators especially wolves getting into enclosed areas holding domestic livestock, and become redundant once wolves were exterminated in the region. It was also useful in sheep management, in the medieval period keeping sheep for their wool, and making cheese from their milk, were important economic activities in the Yorkshire Dales. Tom also showed us the small gateway and explained that in the past Longhorn cattle were used to produce the milk but because of the long horns the gateways had to allow for a widening gap towards the top so that they could pass. Incidentally the milk from the Longhorn cattle was especially rich and made excellent butter. Another stone wall feature of interest was the hole that could be opened and closed. This was the sheep gate and from the photo you can see that the infill was rough and ready but enough to keep the sheep in until you wanted to let them out. Just remove the rough stones and out the sheep go. Below are a few more stone wall photos. The soils at Lower Winskill are very variable and give rise to a wide range of plant communities. Wild flowers are abundant in the pastures and hay meadows, and amongst the limestone pavements and cliffs. By carefully controlling when the pastures are grazed many different wildflowers are able to flower and set seed from the spring through to the early autumn. As well as the many characteristic wildflowers of limestone grassland like the Ladies bedstraw, the beautiful early flowering Blue Moor Grass (Sesleria caerulea) is common in the limestone pastures at Lower Winskill. The semi-parasitic Yellow Rattle along with Eyebright have an important part to play in the restoration of upland hay meadows. By checking the growth of the more vigorous grasses it helps other wild flowers get established. They are prolific producers of seed; the seeds of Yellow rattle are large and easily collected by mechanised seed harvesters for use in meadow restoration schemes unlike Eyebright. Careful management of sheep and cattle grazing is also the key to make sure that butterflies have a source of nectar from wild flowers throughout the summer. Some of the limestone pastures are not grazed until early autumn to make sure there are lots of late summer nectar plants for the butterflies such as Common Knapweed and Devil’s Bit Scabious. This also ensures butterflies have a variety of small-scale habitats in close proximity to each other with clusters of grasses and wildflowers at different heights. On a more cheerful note we now come to the part about herbal medicine. Once upon a time herbs made up the armoury of the physician. Countless years of experimentation and observation from the early human civilisation led to a deep understanding of which plants proved useful for different ailments. For my part I only know a small fraction of the useful plants found in meadows, one of the most useful for me is the yarrow plant, it has many uses but the one which shines through is its ability to staunch blood flow. Pretty dam useful when you do not take enough care sharpening the scythe blade. The weekend also included lessons in mowing with a scythe, meadow management, making hay, peening etc. There were a few cut fingers but a foray into the flower rich meadows looking for yarrow soon remedied the flow of blood, a first aid box right under your nose!!!!! On the last day the farm held (I think) the second Yorkshire dales mowing competition, all were invited to mow a lovely traditional hay meadow. adjacent to the farm-house. Hay meadows were nearly always close to the farm in the old days so that the hay did not have to be carted to farm and the aftermath grazing was left for the autumn/winter with the hay-field then been closed to grazing animals from the spring. Below is a gallery of the mowers in action along with timekeepers, rakers and judges. Steve Tomlin entering a competition, never!!!! I have to say a big thank you to all those that put the hard work in to make the Meadow connections possible at Tom’s farm and a big thank you to a man who has a passion and makes it work, a shining example to all those bigger and well funded organisations. Spent many a happy hour at Winskill as a yougster, I went to school with Tom Lord.Fantastic landscape, and I do recall the huge variation of wild flowers in the meadows.